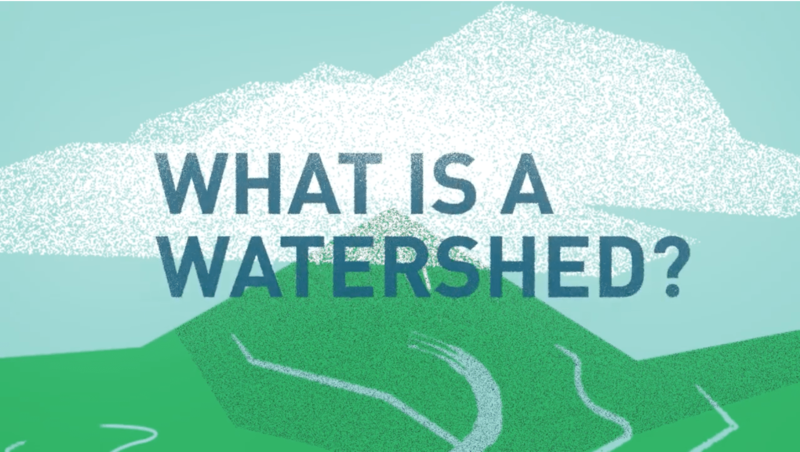 What is NTMWD’s routine water treatment process? Disinfection of water is typically a two-step process. The first step is to inactivate or kill microorganisms, such as bacteria, parasites and viruses, during treatment. The second step makes sure water remains disinfected and safe for drinking as it travels long distances through pipes all the way to the tap. Most of the year, NTMWD disinfects its water using a combination of ozone and chlorine (first step) and then chloramine, which is the combination of ammonia and chlorine (second step). Why do you use chlorine/chloramine to disinfect water? EPA requires water treatment facilities to maintain a minimum chlorine level of 0.5 milligrams per liter (mg/l)—or parts per million (ppm)—during normal operations and a maximum running average 0.5 of 4 mg/l (or 4 ppm). These levels are safe for use or consumption. Do you use chloramine because it is the least expensive treatment? No, we use it because in conjunction with ozone and chlorine, it is the most effective disinfectant for our large regional water system. It provides long-lasting disinfection benefits with minimal disinfection by-products. In many cases the use of chloramines is more expensive because it requires the purchase and storage of more chemicals (ammonia). It also requires additional equipment, technology and operations. Where does the bacteria go? Chlorine reacts with and kills bacteria in the system, making them harmless to humans. However, the presence of some organic matter can remain in distribution systems. This is common to all public water distribution systems. It’s not that different from bacteria on uncooked food. Once bacteria on the food is killed by high temperatures, it’s harmless. Do other water providers use the same treatment processes as NTMWD? The EPA requires all water providers to disinfect water to protect public health. NTMWD uses proven, common and highly effective methods to treat the lake water that is the source of its water. According to the Water Research Foundation, approximately 45 percent of the U.S. population is served by public water supplies disinfected with chloramine, the process NTMWD uses during normal operations. How does your treatment rank with others? NTMWD has been recognized for the superior performance of its treatment facilities in doing more than what is required to meet state and federal drinking water standards by the Texas Optimization Program (TOP) run by the Texas Commission on Environmental Quality (TCEQ). 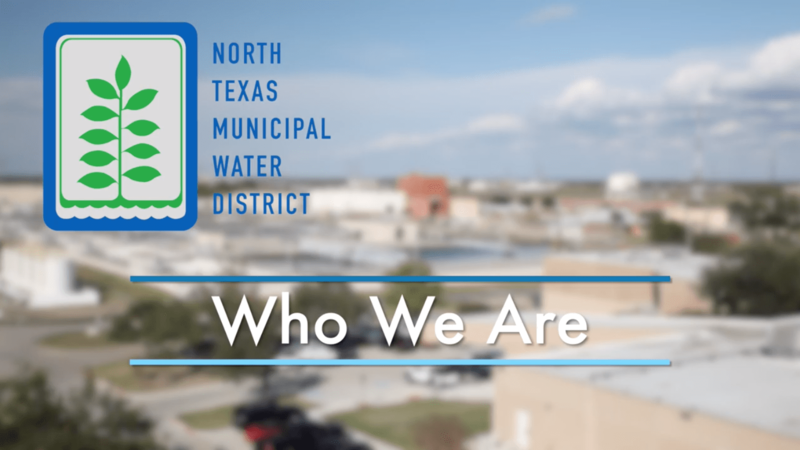 The TCEQ has given NTMWD a “superior water system” rating. More information on the TOP program can be found here: www.tceq.texas.gov/drinkingwater/swmor/top. Why can’t you just do a better job of removing dirt from the water? Lake water naturally contains sediment, organic matter and bacteria. The water goes through a proven, multi-step process to remove sediment and organic material, eliminate bacteria and viruses. The process includes ozone, chlorine, filtering, and then adding ammonia to create monochloramine. Ozone is one of the most powerful means to treat and disinfect water. Why is the temporary change in disinfectant necessary? Each spring for about one month, NTMWD temporarily changes the disinfectant used in the second step of water treatment. This is necessary to help maintain the system and high water quality year-round. During this time, ammonia is temporarily suspended and only chlorine is used to maintain water disinfection from the time it leaves the treatment plant as it travels long distances to the tap. Chlorine levels in the water are consistent with year-round operations. However, the discontinuation of ammonia can make the presence of chlorine more noticeable. Cities may help with this process by flushing water out of fire hydrants during this time, which helps move the chlorine through the system faster. The EPA estimates up to 40 percent of water providers who use chloramine conduct this process. Does NTMWD add more chlorine during this period? No, test results verified by the TCEQ show chlorine levels during the temporary change in disinfectant process are consistent with normal year-round operations. Does this process indicate a problem with the system? No, it’s actually a preventive measure that helps prevent bacteria from growing in pipes. According to the TCEQ, many utilities in areas with warmer climates throughout the state and country that use chloramines for their distribution conduct the same process. NTMWD has performed this routine process for over 10 years and maintained high water quality each year. Does NTMWD plan to discontinue this process? What could be done instead? NTMWD does not plan to discontinue this safe and accepted practice. Discontinuing this process would require different and more costly operational practices in the distribution systems, such as increased fire hydrant flushing which would reduce available water supply and could impact our ability to meet water demand and provide adequate flows for fire-fighting in the summer months. In order to do this, we would need additional water supplies above and beyond those being planned. Why is this done in the spring? It’s important to do this before summer because hotter temperatures can increase the potential for bacterial growth in pipes. Moving the water through the system faster by flushing it through fire hydrants can help reduce chlorine odor and taste. Conducting this flushing of pipes in the spring also helps conserve valuable water by reducing the amount of flushing needed during the warm summer months when water demands increase due to irrigation. Why doesn’t Dallas perform a temporary change in disinfectant? It is our understanding that the Dallas Water Utilities is able to maintain its system through a comprehensive flushing program. However, based on NTMWD’s expansive system serving nearly 80 communities across North Texas, maintenance solely through flushing is not a viable or cost-effective option for our unique regional system. How often do you test the water and how are results shared? NTMWD has a state-certified laboratory that analyzes over a quarter million water quality samples a year — about 685 samples daily — to ensure drinking water meets or surpasses safe water requirements. The District laboratory tests water in our system and provides testing services for member cities and customer entities. Additionally, the TCEQ conducts independent tests in the NTMWD and city systems to ensure compliance with state and federal regulations. Results are posted online at www.NTMWD.com/water-quality-reports. Where can I see the test results? Monthly and annual water quality reports can be found on www.ntmwd.com/water-quality-reports. NTMWD will also post chlorine levels weekly during the temporary disinfectant change period and results from monthly testing for disinfection by-products. How often is water tested for chlorine? NTMWD tests for the concentrations of chlorine at our treatment plants and at certain points in the transmission system every 15 minutes. We plan to add even more sample locations this year. We also test once a week at the delivery points at which the cities we serve collect the water to pipe to their customers. All of this testing occurs year-round and is reported to the TCEQ. The cities we serve also sample and monitor the water that is distributed to their customers. Those tests are taken and measured daily in the field. Additionally, last year during the temporary change in disinfectant period TCEQ collected 117 samples from 31 public water systems that deliver NTMWD water. Is there any independent testing? TCEQ conducts routine water sampling in the NTMWD and city systems through an independent laboratory to confirm water quality compliance with state and federal standards. The cities we serve also collect their own water samples, which are analyzed in NTMWD’s state-certified laboratory and reported to TCEQ. What are the levels of chlorine during the temporary change in disinfectant? The EPA requires water treatment facilities to maintain a minimum chlorine level of 0.2 milligrams per liter (mg/l)—or parts 0.2 parts per million (ppm)—during the routine change in disinfectant, and levels must not exceed a maximum running average of 4 mg/l (or 4 ppm). NTMWD system’s chlorine levels during the disinfection change period are consistent with the rest of the year. After the treated water leaves the plant, the chlorine begins to dissipate as it travels long distances to the tap. TCEQ confirms that the District meets or surpasses all safe water requirements. Why are my swimming pool chlorine levels close to the levels in my drinking water? According to the TCEQ, “A normal level for drinking water disinfection can range from 1 part per million to 4 parts per million which is similar to chlorine levels found in swimming pools.” However, pool test kits are not a reliable method to test drinking water. According to the Centers for Disease Control (CDC), pool kits take inaccurate readings over time; do not provide reliable, quantitative results; and lack calibration and standardization. You can learn more from CDC. How often is testing done on disinfection by-products (DBPs)? The EPA regulates DBPs (Trihalomethanes or THMs and Haloacetic acids or HAA5) at levels that current research considers safe. The TCEQ tests quarterly in the cities we serve for the regulated DBPs to confirm compliance with EPA’s regulations. NTMWD voluntarily began testing monthly for DBPs in late 2018. This testing is above and beyond what is required. Results show that NTMWD meets or surpasses the standards required for drinking water safety. What if I want additional tests of my water? Review water quality information and Consumer Confidence Reports on your city or local water utility website and contact them with any questions (agency who sends your water bill). View NTMWD water quality information online at www.NTMWD.com, including monthly reports and the annual Consumer Confidence Report. 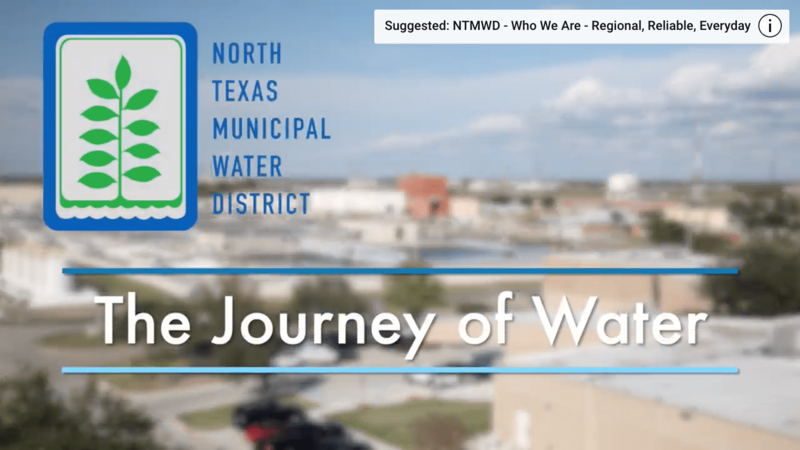 Contact NTMWD to learn how the water is treated and distributed to your city (local provider) at www.NTMWD.com, publicrelations.info@ntmwd.com or 972-442-5405. If you wish to perform additional testing, use a state-certified laboratory to provide sampling instructions, containers, and ensure accurate results. You can find an accredited laboratory in Texas through this link. Consumers should be cautious of and do research on any private companies offering free testing to sell products or services. Pool test kits are not a reliable method to test drinking water. According to the Centers for Disease Control (CDC), pool kits take inaccurate readings over time; do not provide reliable, quantitative results; and lack calibration and standardization. You can learn more from CDC. Beware of claims from companies advocating filtration for water safety. 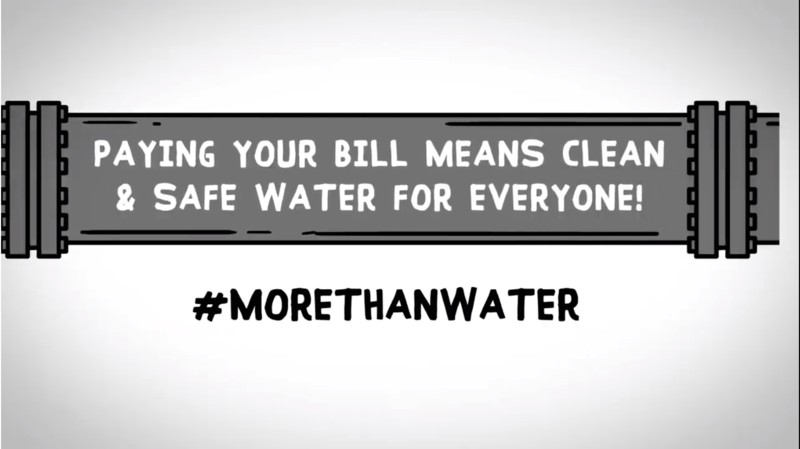 NTMWD’s water is safe to drink without filtration. Some filters can help dissipate chlorine odor, taste and skin sensitivities. Look for filters labeled with National Science Foundation (NSF/ ANSI) approval. DrinkTap.org has some additional filter guidelines. Why did I notice a stronger presence of chlorine last year? 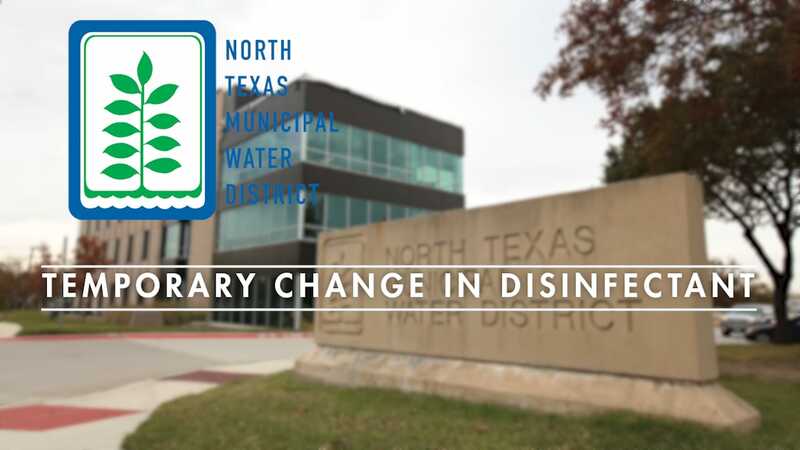 NTMWD acknowledges that there was more public concern expressed in 2018 about the water quality during our temporary change in disinfectant. We took these concerns seriously and retained outside water quality experts to evaluate if there was anything different that would have impacted water quality during the 2018 one-month change. Untreated and treated water quality was not significantly different during the 2018 change period from other years. The levels of chlorine in the water being piped from our main treatment plant in Wylie were consistent with previous years. Slightly higher chlorine levels at some city delivery points were noted in 2018 compared to previous years, but these were minor in nature and do not appear to be the main reason for public concern. Lower water demand during the 2018 temporary change in disinfectant due to significant rainfall may have led to more odor since water was staying in the pipes longer. Are you doing anything differently in 2019? Increased flushing of local systems through fire hydrants to move the chlorine-disinfected water more quickly through pipes and help reduce taste and odor issues during the disinfectant change period. Reducing or minimizing storage of water in the system at the onset of the change process. Developing system operations guidelines with best practices, technical resources and information to support local system operations in our cities. Could the chlorine cause rashes or other health problems? While rashes in general are very common, they have not been directly linked to drinking water treated with chlorine. For sensitive individuals, a Vitamin C tablet added to bath water can minimize the chlorine. You can also consider installing filters on faucets and showers. According to medical toxicologist Scott Phillips, MD, “There have been no scientific studies suggesting an association between psoriasis and chlorine. If you are experiencing a rash that you are concerned about, you should discuss the matter with your dermatologist.” See more health related questions and answers from Dr. Phillips. Does chloramine form dangerous toxins? Since chloramines are not as reactive as chlorine with organic material in water, they produce substantially lower concentrations of disinfection by-products (DBPs) in distribution systems. Some disinfection by-products, such as the trihalomethanes (THMs), may have adverse health effects at prolonged high levels. The EPA closely regulates these disinfection byproducts, and the results of monthly tests indicate that NTMWD water contains low amounts of DBPs that are well within the range that is considered safe by the EPA. The Water Research Foundation, the nation’s leading water research group, recognizes that periodic chlorine maintenance is a preventive measure to reduce the potential for nitrification (process by which ammonia is changed into nitrates by bacteria) which can occur in water distribution systems during warmer months. View Chlorine Maintenance video.